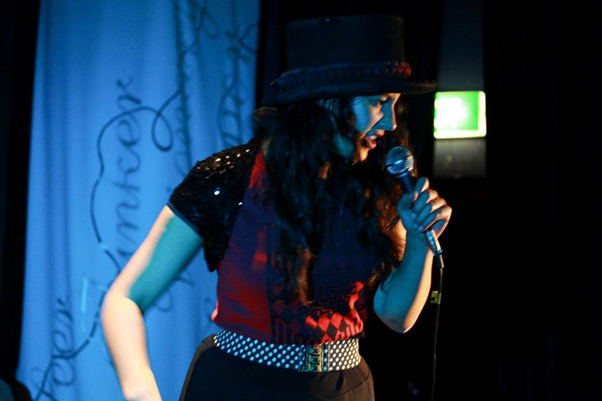 Simone Kaho is a performance poet with a Masters in Creative Writing from the IIML in Wellington. She has appeared in scores of poetry shows including; The Kerouac Effect, Theradical Hobohemians, Spit it Out and is a member of the Literrati. Her poetry is anglular and tough, the kind that strays down alleys where the written word as it off with rhyme and beats itself up afterwards. She writes about her mixed pacific and kiwi heritage with rawness which thrums the line she walks between. Simone likes to make things shiver. She is a modern confessional seeking new boundaries of what you can talk about putting them through a ringer. The result is lyrical street – some poems sing – others attack. Her work has been published in JAAM, Turbine and The Dominion Post. Unfortunately Simone was unable to make it this week due to personal circumstances. Her set has been rescheduled for July.